A gentle yet rejuvenating kit suitable for addressing normal skin concerns. This four-piece kit contains everything you need to rejuvenate skin and address many skin concerns.. If you’ve been considering trying CosMedix products, this kit serves as a perfect introduction to test the line. 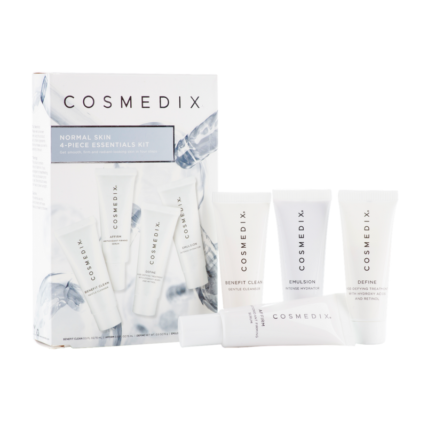 This kit contains four essentials for your daily skincare routine: CosMedix Define, CosMedix Benefit Clean, CosMedix Affirm, and CosMedix Emulsion. 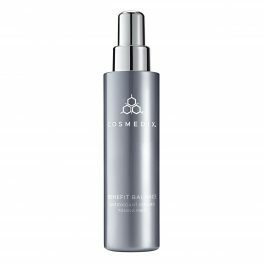 Start your day with CosMedix Benefit Clean: a gentle foaming cleanser packed with antioxidants to remove impurities, pollutants, and environmental toxins. CosMedix Affirm, a firming serum, contains intensive antioxidants to firm and protect your skin throughout the day from free radical damage which leads to visible signs of aging. CosMedix Define is a special treatment with hydroxy acids and retinol for reducing fine lines and wrinkles while evening skin tone. Youthful and supple skin starts with effective hydration. CosMedix Emulsion is crafted using cutting-edge skincare technology to penetrate deep beneath the skin’s surface and provide intense hydration. When you purchase CosMedix products, you can feel comfortable knowing that you’re only feeding your skin nourishing plant-based ingredients instead of harsh chemicals or parabens. Skincare professionals trust CosMedix products due to their high concentration of active yet gentle ingredients. This kit is suitable for use with normal skin. 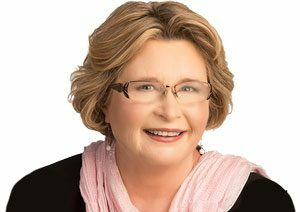 Like all CosMedix products, the items in this CosMedix kit are designed to provide nourishing skincare to people of all skin conditions however quite sensitive skin should start the Define slowly. Rebalance and replenish your skin with this essential kit from CosMedix. Use morning and evening. Add pea size amount of cleanser to damp hands and smooth onto face. Using quick circular motions, work into lather, rinse well. Follow with Affirm in the morning and evening. Use morning and evening. Apply a small amount to fingertips and spread over face. Avoid eye area. In the morning follow with Emulsion and sunscreen. In the evening follow with Define and Emulsion. Apply a pea-sized amount in the evening after cleansing with Benefit Clean and applying Affirm. Begin with first application once every other night (for sensitive skin: every third night). Slowly build tolerance level to every night. If redness or irritation occurs, reduce frequency of use. When redness subsides, begin to build tolerance levels again. Mild peeling may be experienced. Do not apply to eyelids. Cannot be used if pregnant or lactating. Follow with Emulsion. Apply a pea-size amount in the morning after applying Affirm and in the evening after applying Affirm and Define.